Muay Thai Kickboxing is considered by many to be the most effective “stand up” style of fighting for self defense, sport and physical fitness. Every fight or altercation starts standing so everyone needs to learn to defend themselves on their feet. As a self defense and sport fighting art Muay Thai's no nonsense offensive techniques are designed to stop an attacker or knock out an opponent in their tracks. Muay Thai utilizes all of the body’s natural weapons; the hands, elbows, knees, shins and feet are all used as striking surfaces. Muay Thai’s kicking techniques are second to none. Unlike many traditional Martial Arts systems, Muay Thai utilizes leg kicks as a means of breaking down an opponent. If an opponent or attacker can’t stand, they can’t fight. Its defensive techniques are highly effective in evading and/or stopping an attack by an attacker or opponent and are taught with a strong emphasis on how to counter an attack. EMA's Muay Thai classes also focus heavily on Boxing to help to complete the student as a well-rounded fighter, capable of adjusting to all ranges of stand-up combat. 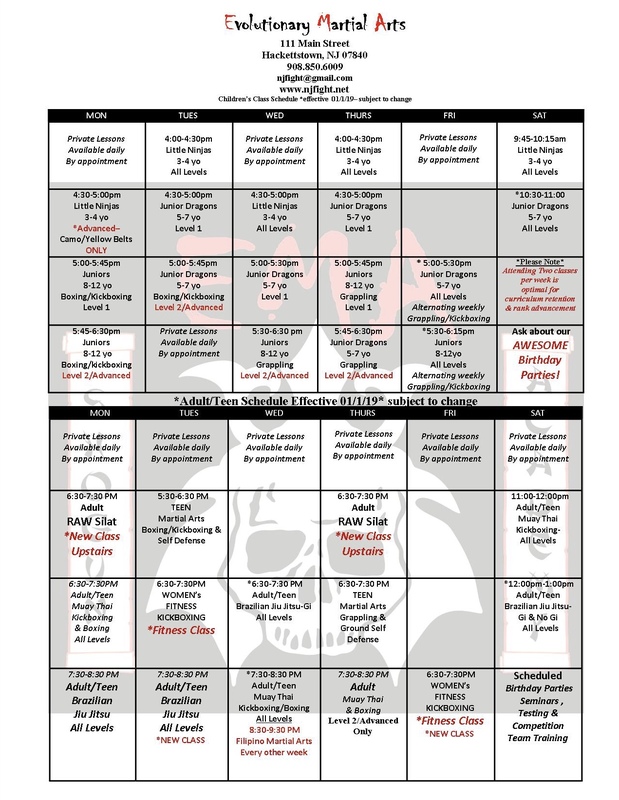 For street self-defense, sport and fitness our Muay Thai classes are second to none. 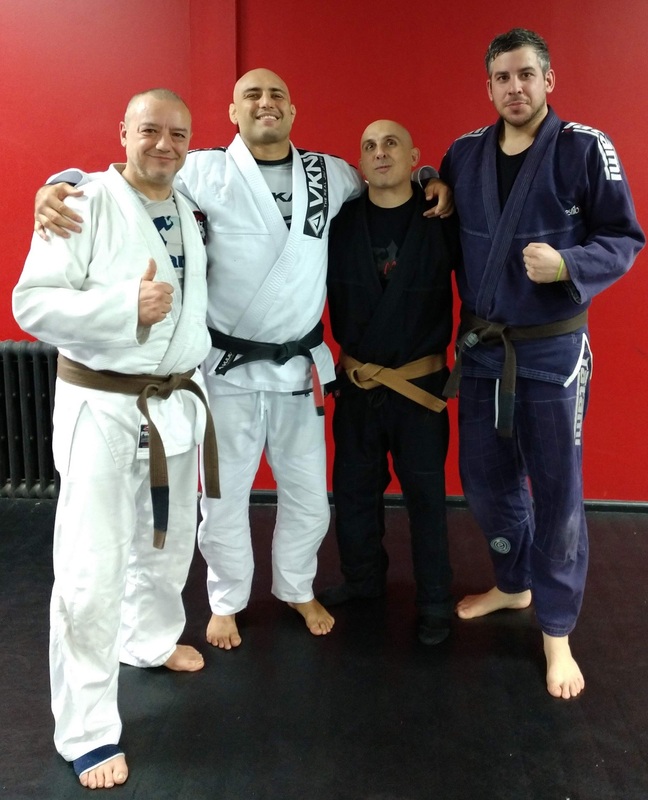 Evolutionary Martial Arts is proud affiliate Academy of Meleiro Brazilian Jiu Jitsu under Professor Marcelo Meleiro, Nova Uniao first generation 4th Degree Black Belt & World Champion under Andre Perneiras. Brazilian Jiu Jitsu (BJJ) has become the most sought after Martial Art of modern times. Made popular by the Gracie family of Brazil for its highly effective self defense and sport fighting applications, Brazilian Jiu Jitsu is now practiced worldwide. Combat sports events such as The Ultimate Fighting Championship and Pride Fighting Championship among others have been proving grounds for the effectiveness of Brazilian Jiu Jitsu in combative situations. The primary focus of Brazilian Jiu Jitsu is ground fighting and ground defense. Since a large majority of street fights and attacks end up on the ground it is important that anyone who truly wants to be able to defend themselves when their safety is at risk MUST know at least the basics of ground fighting. Since the techniques and principles of Brazilian Jiu Jitsu are based on leverage rather than strength, a smaller person can easily defend themselves against a larger and stronger opponent. Women, Men, Teens. Kids, Law Enforcement agencies , Military branches, and Combat athletes alike have all found BJJ to be a huge part of their Self Defense training, Fitness programs and a great way to have fun! Not only will EMA's BJJ classes give you the confidence to defend yourself but we’ll help you to get in the best shape of your life!